FreshMenu is a Bangalore based startup, Believes in delivering best meal box at cheaper prices. It’s working on kitchen model and there are 10 operating kitchens in Bangalore at– Sarjapur, Whitefield, Marathahalli, Koramangala, Bellandur, Richmond Town, Indiranagar, JP Nagar, Hennur, and BTM Layout. 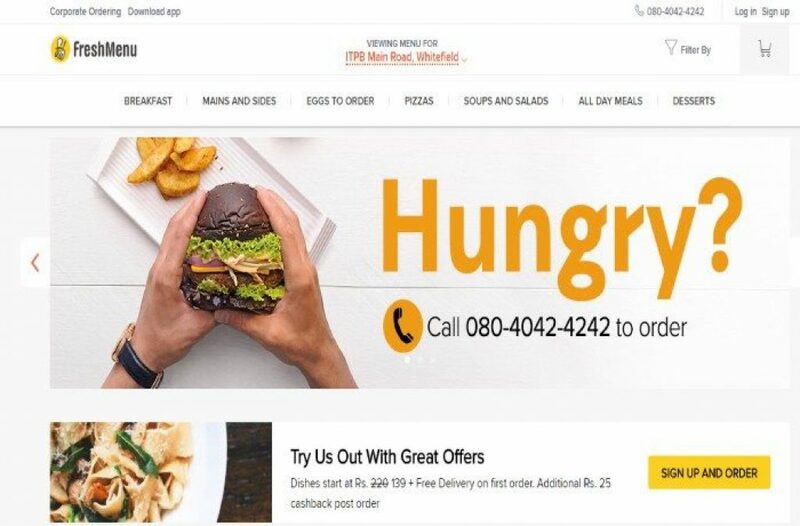 Its kitchen based model and best food cooked by professional chefs make this startup different from other food delivery and ordering platform. Their professional chef experiments with the food recipes and make an amazing food dishes for everyone which you cant find anywhere else. Freshmenu is founded by an IIM student Rashmi Daga, She was working in sales in true-blue corporate companies. She was very curious to start her own venture and she started a bootstrapped startup – afday.com but it didn’t go well so she rejoined a corporate sector and after working for some years she again came with the new startup which we all know as Freshmenu.